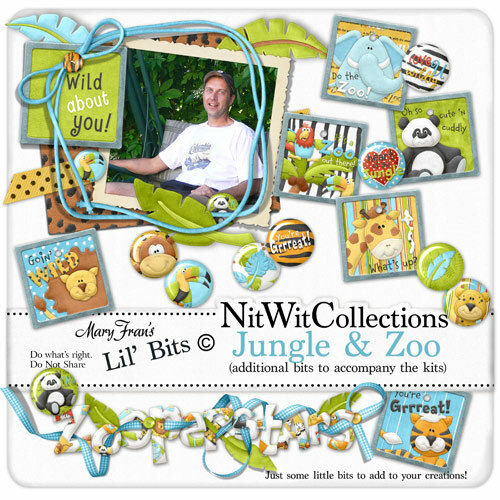 Here are some "Lil' Bits" that are great little additions to either my "Jungle Fun" or my "HullabaZoo" Fat Quarter Bundle kits. Yup, just some lil' somethin's to add to your layouts! 9 resin drops in various wild sayings!